Are you traveling to a few Italian cities this Christmas? Choose one of our guided tours to make the most out of your Italy vacation and spend quality time with the whole family! If visiting Rome, don’t miss out on the chance to join Rome tours and seeing all the highlights such as the Vatican Museums and the Colosseum. Italy’s biggest, and possibly most characteristic Christmas market is way up north in the South Tyrol area. This region is along the border of Austria and Switzerland, and you can instantly feel the collision of the cultures. The town itself is heavily populated with German speakers so expect the street signs to be in both Italian and German. Dozens of wooden stands sell handcrafted local products like wool accessories, toys, and ornaments. Sample the mouthwatering delicacies like Vin brulè (hot mulled wine) as you shop. The main location of the market is in Piazza Walther, but it winds throughout the town. It’s the perfect opportunity to explore the uniquely special atmosphere! Just a short train ride from Bolzano is this other famous town in the South Tyrol area. The market is nestled around the impressive cathedral of the town. It is known for the colorful artisanal products and the holiday aromas that float through the air. Save time to walk through the other parts of this town! You’ll feel transported to the neighboring countries while still enjoying your winter Italian dream. Also in South Tyrol, Merano is a town known as a place for relaxation and well-being. They carry this way of life into the holiday season by hosting a market that captures the magic of Christmas. Experience snow reaching the summit of the alpine peaks, community togetherness, and the smell of cinnamon and fresh pastries. The sparkling Christmas lights at night are enough to bring visitors, but they also do us a huge favor in selling locally made woolen and wooden goods, in addition to other local crafts. 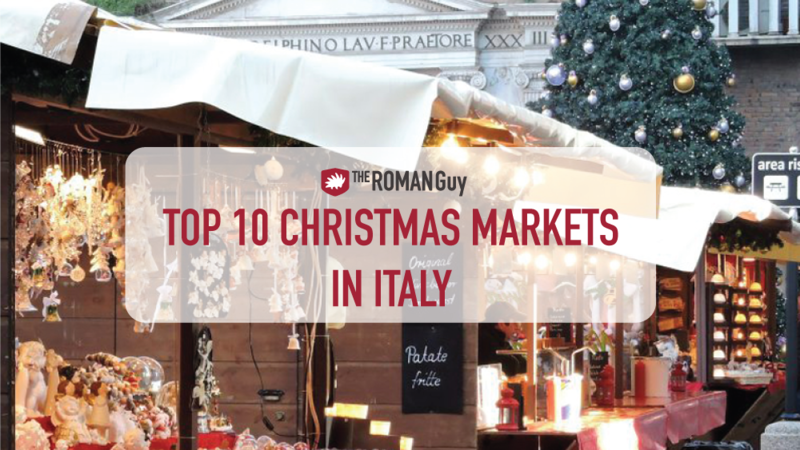 Although it used to be bigger in the past, the Christmas market in Piazza Navona remains the most popular. International goods, local delicacies, Christmas concerts, and even Santa himself can be found in this bustling square in the middle of Rome. A new up and coming event in the Rome Christmas Market scene is Wave Market – Christmas Edition, held at Lanificio on December 8th and 9th. 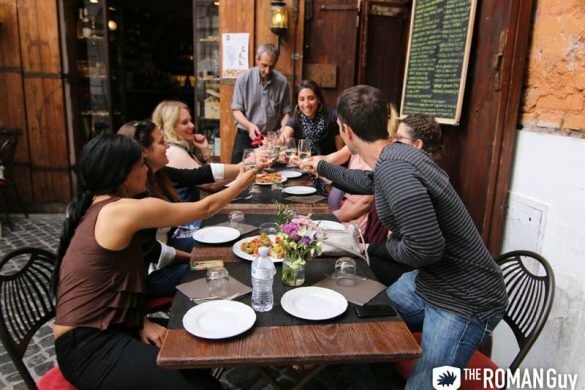 If you wish to spend a day filled with local specialties, eco-friendly products, fresh drink, this is your best option in the Eternal City! Here you’ll find handmade artisanal decorations and gifts for the whole family! Piazza Re di Roma is a quieter venue that usually hosts a small market, an ice skating rink and live music performances. Perfect to spend a nice day with the whole family away from crowds. The famous Piazza di Santa Croce in Florence hosts the German Christmas Market every year. From Heidelberg, Germany, you will see dozens of wooden huts complete with both local and German crafts, accessories, and indulgences for your taste buds! 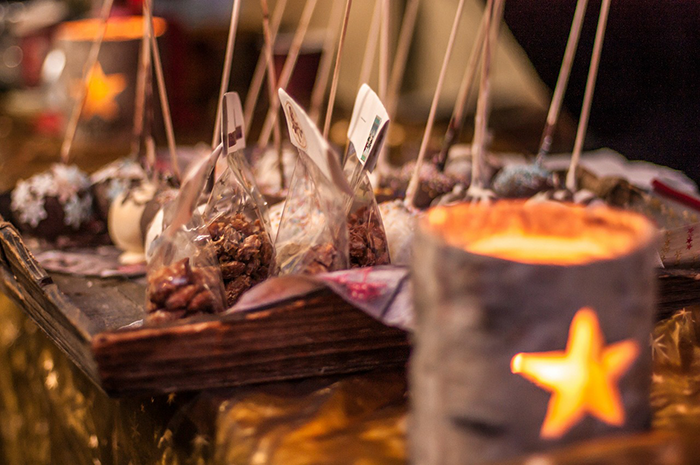 Don’t miss the mulled wine, panforte (a dense, spiced fruitcake), and even bratwurst! The Floating City dresses up for Christmas and opens an ice skating rink! Venice doesn’t have a proper market such as the other Christmas Markets in Italy. Instead, you’ll find small stands selling gift ideas all around the city. 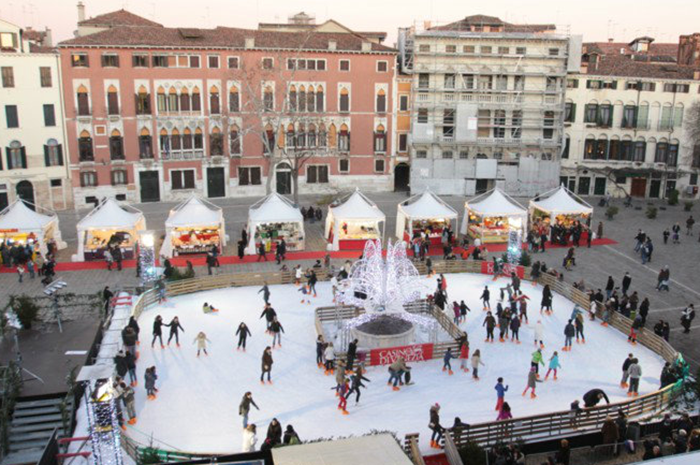 Campo San Polo is great for some action during the holidays. Head there to ice skate with your family and eat some “frittelle”, huge doughnut-like pastries filled with Nutella! Of all the Christmas Markets in Italy, Bologna is far less crowded than the other, better-known festivals. Still impressive in size and offerings, this could be a good option to visit another important and striking city while conveniently avoiding the touristy crowds. There are two markets in Bologna – Fiera di Santa Lucia, located around Basilica di Santa Maria dei Servi, and the Fiera di Natale, on Via Altabella. 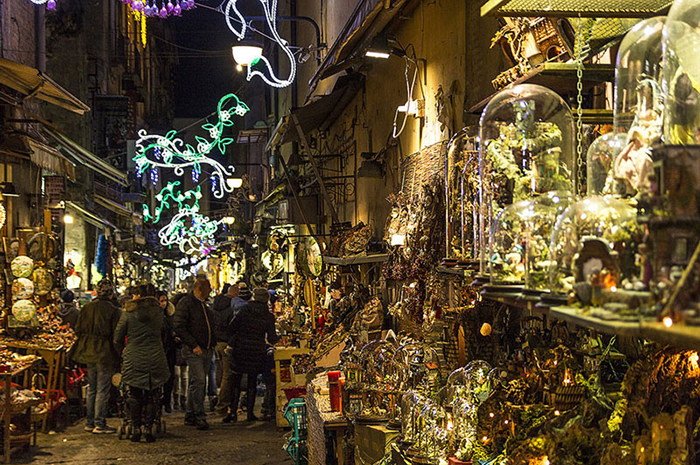 If you’re in the group of people who think Christmas is over too quickly, Naples is the city for you! 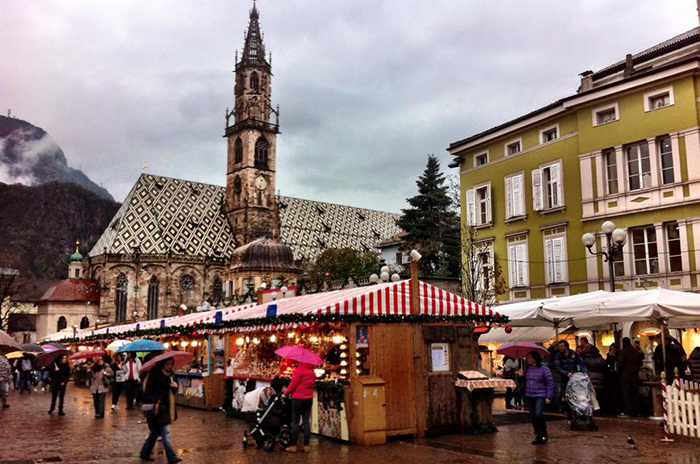 Famous for their nativity scenes, or presepi, they have a year-round Christmas “market”. Shops and entire streets offer the traditional figurines every month of the year. Starting around mid-November, the street Via San Gregorio truly enhances the holiday feels! Get lost among the many market stands and shops selling local treats. Stroll down the narrow alleyways and then check out the live nativity scene is Piazza S. Gaetano. Known as the “Paese del Natale”, or village, this town is in the Emilia-Romagna region of Italy. Wander through the medieval buildings and narrow alleys and discover local manufacturers and artisans. When hunger strikes, opt for some of the piatti dell’avvento – particular advent meals. You’ll see dishes like roasted chestnuts mixed with beans and spaghetti with sugar and walnuts. Want to migrate south for the winter? No problem! The capital city of the island Sardinia hosts a true Christmas expo, only offering and showcasing local products of the island. 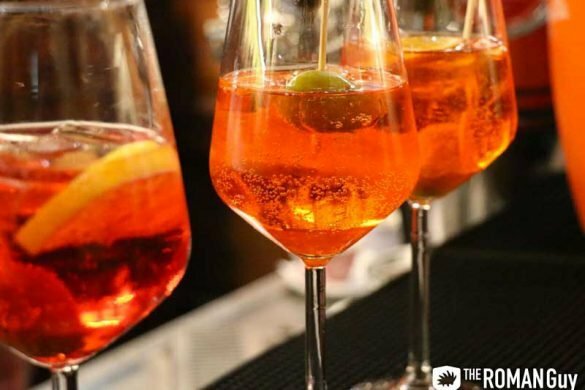 What better way to experience a different part of Italy? 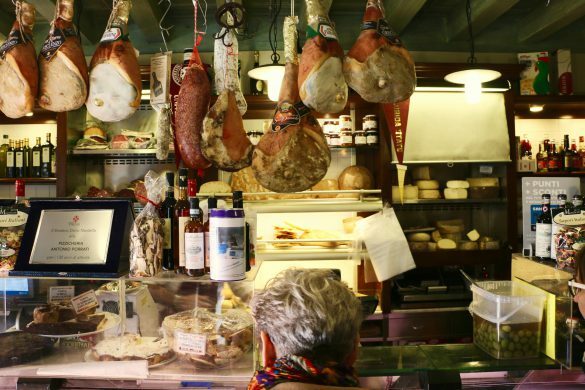 Taste the world-famous food, buy local products, and spend the colder months on an Italian island.